Truth Hounds and International Partnership for Human Rights (IPHR) in partnership with National Endowment for Democracy (NED) present their latest report – Attacks on Civilians and Civilian Infrastructure in Eastern Ukraine. The Report sets forth new evidence of international crimes, perpetrated by the Ukrainian Armed Forces (UAF) and Russian-backed separatist militias – the so-called Donetsk Peoples’ Republic (DPR) and Luhansk Peoples’ Republic (LPR), in the context of and associated with the armed conflict in eastern Ukraine. We do not divide the criminals into ours and others. We are sure that all the offenders should be liable, without exeption. Therefore, together with Ukrainian Helsinki Human Rights Union we gathered in this report information on illegal detentions and torture committed by the Ukrainian side in the context of War in the Donbass region of Ukraine. Download in English language here. The latest report of the Truth Hounds illustrates the situation with the children’s rights violations during an armed conflict at the Donbas. Material contains an analysis of the evidence of 5 cases of willful killings of children, 6 cases of illegal detentions with the use of torture and inhuman treatment, 8 cases of deaths and 19 cases of injuries of children caused by an indiscriminate shelling in the conflict zone, as well as 79 attacks on educational institutions in 34 cities of Luhansk and Donetsk regions. The document was prepared by the Truth Hounds within the framework of cooperation with the Civic Solidarity Platform and the Coalition for the International Criminal Court with the support of the Fund for Local Cooperation of the Embassy of Finland in Ukraine and foundation National Endowment for Democracy (NED). The text of the report in Russian can be downloaded here. The text of the report in Ukrainian can be downloaded here. International Crimes in Crimea: An assessment of two and a half years of Russian Occupation. The report on international crimes in Crimea was filed to the Office of the Prosecutor of the International Criminal Court in 2016. It was prepared in cooperation with the Crimea SOS, IPHR in the framework of the Civic Solidarity Platform and in collaboration with international lawyers. The document analyzes the evidence of international crimes in Crimea among which are: 7 killings, 15 forced disappearances, 36 tortures, and 90 cases of unlawful detention. Truth Hounds together with its partners have prepared a joint report on war crimes and crimes against humanity committed by the Ukrainian side of the conflict at the Donbass. Truth Hounds jointly with the Ukrainian Helsinki Human Rights Union and the Kharkiv Human Rights Protection Group have documented 23 cases of detention on the basis of data conducted from 20 interviews with victims and witnesses of the events, as well as from photographs and documents transferred by them. 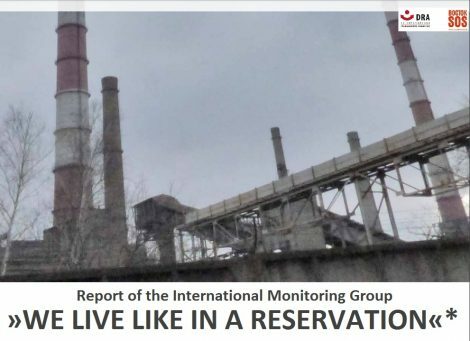 The testimony of the victims, collected from different sources by the authors during separate monitoring visits allows us to conclude about the widely-spread practice of detention of the local population of Donetsk and Luhansk regions in 2014 and 2015 due to suspicion of “separatism”.